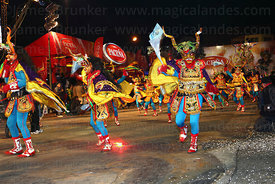 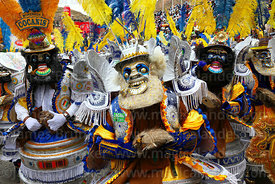 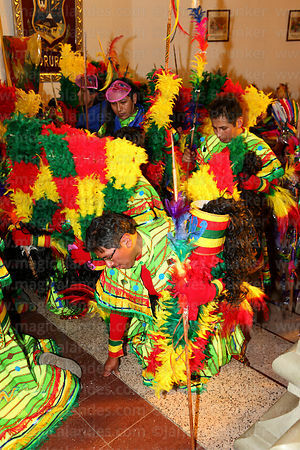 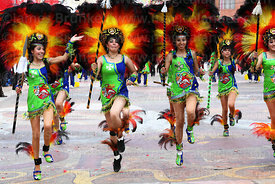 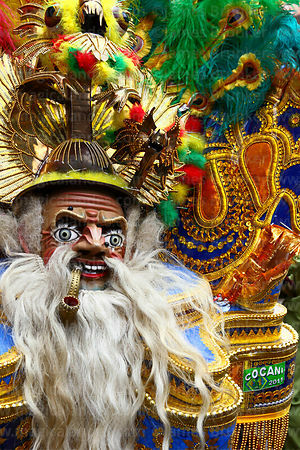 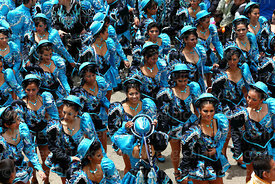 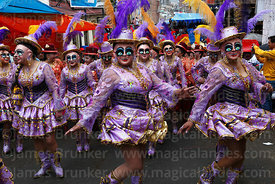 Carnival is celebrated enthusiastically across much of Latin America, with the celebrations in Brazil probably being the most famous. 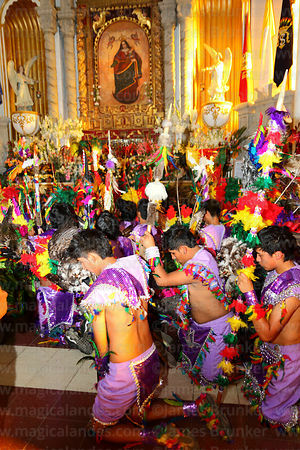 It is held in the week or so before Lent and is thought to have its origins in the consumption of food and drink in festivals before the 40 day period of fasting traditionally observed for Lent. 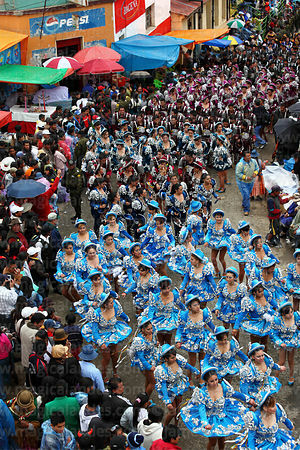 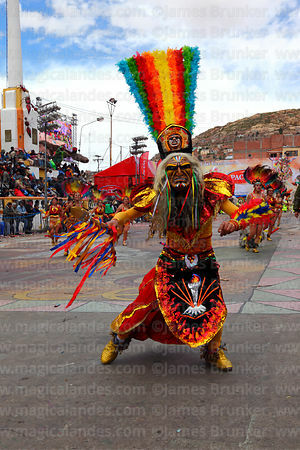 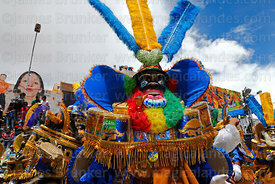 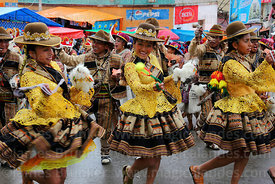 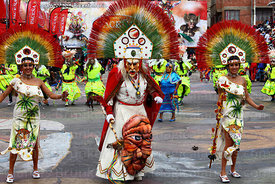 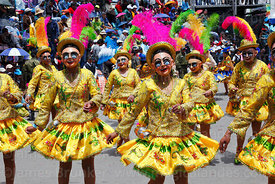 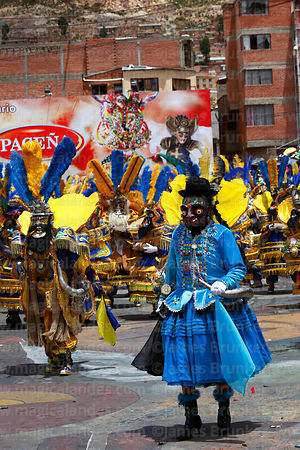 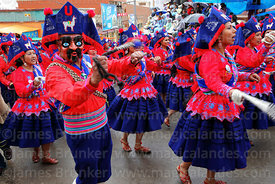 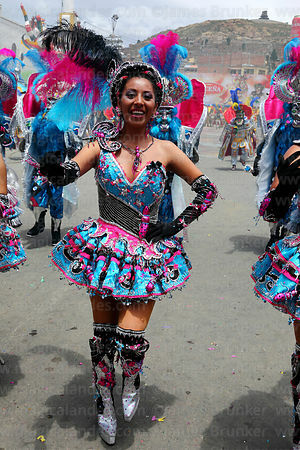 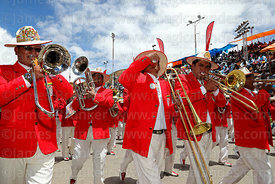 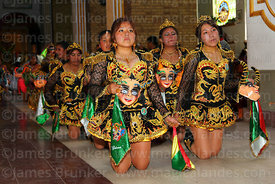 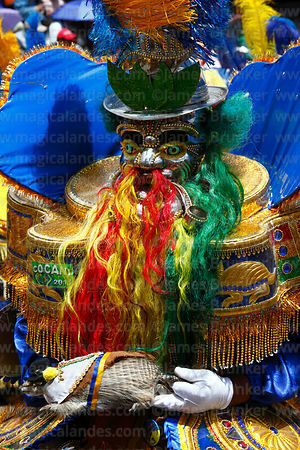 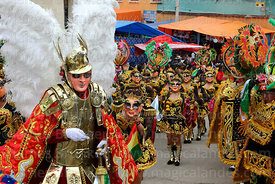 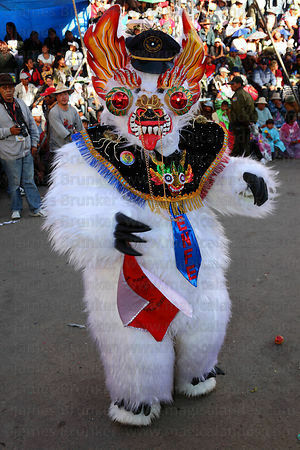 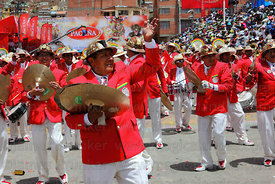 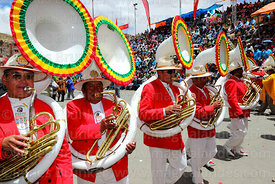 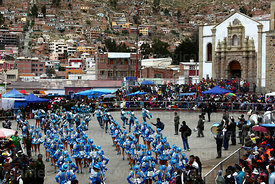 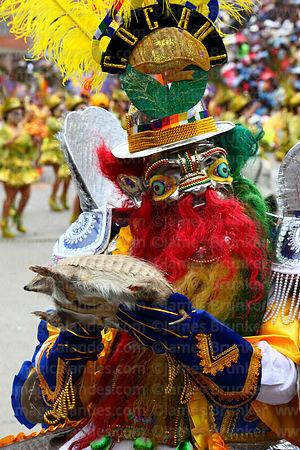 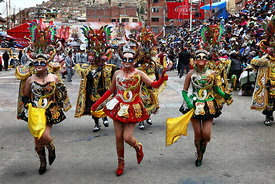 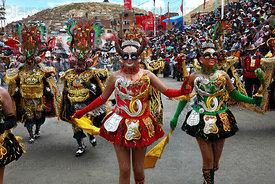 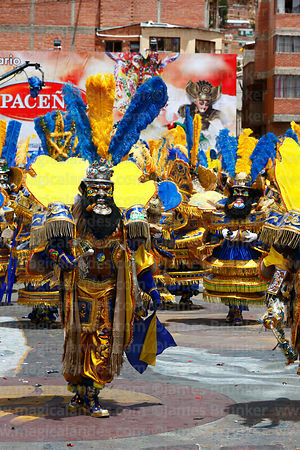 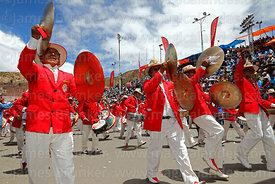 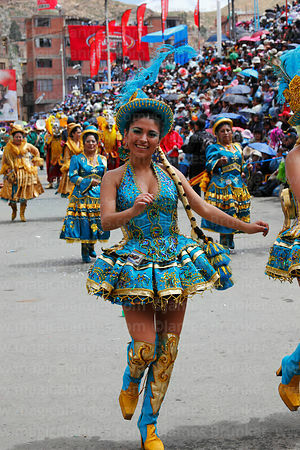 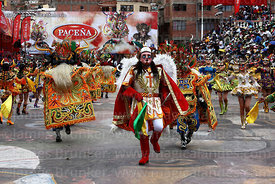 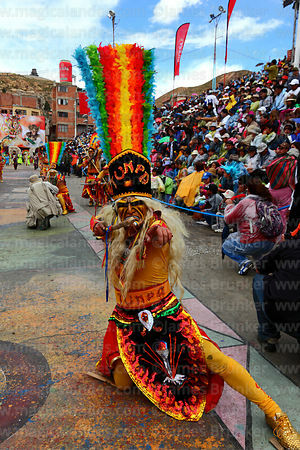 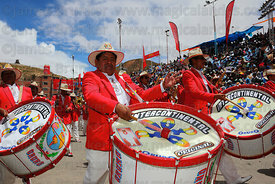 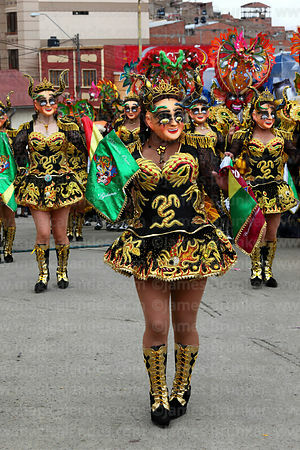 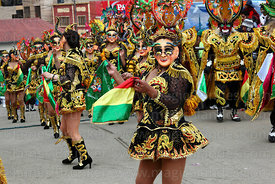 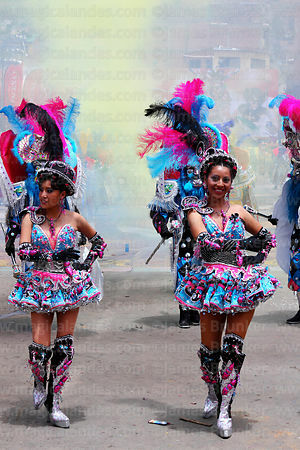 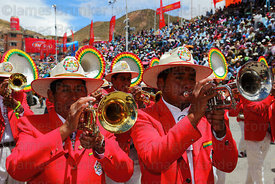 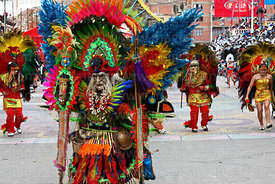 The city of Oruro hosts the biggest Carnival celebrations in Bolivia and the event is one of the most famous festivals in South America. 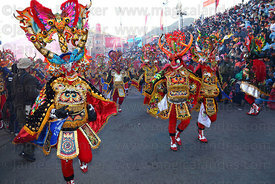 It was declared a Masterpiece of the Oral and Intangible Heritage of Humanity by UNESCO in 2001. 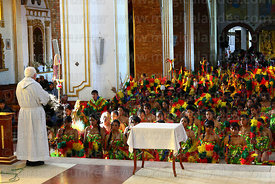 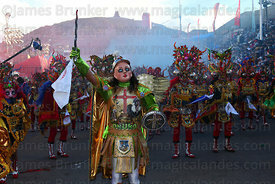 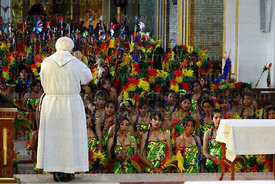 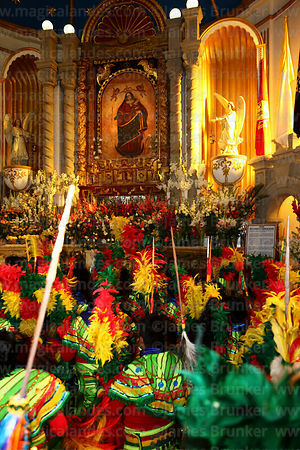 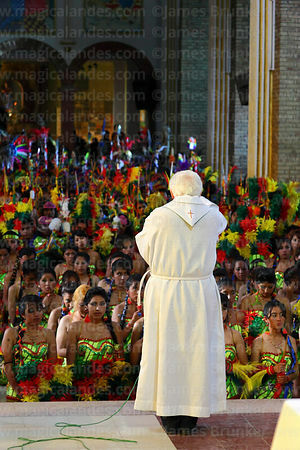 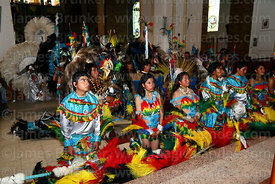 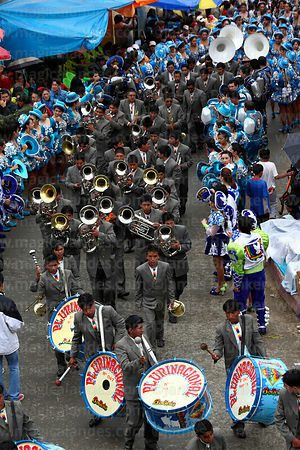 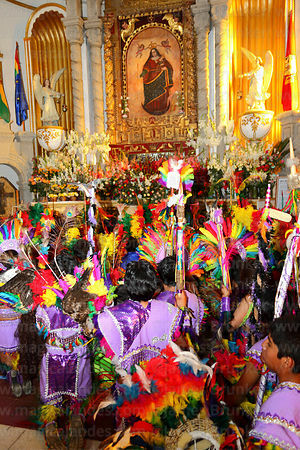 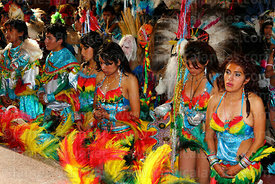 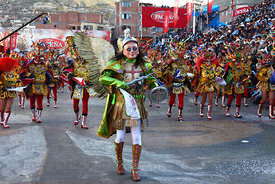 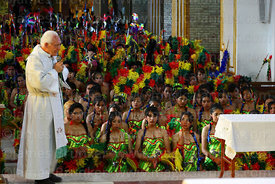 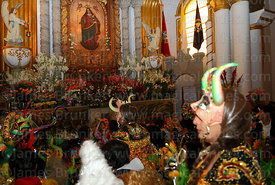 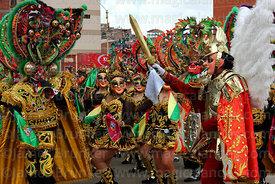 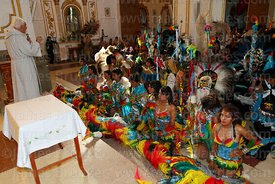 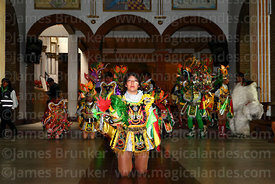 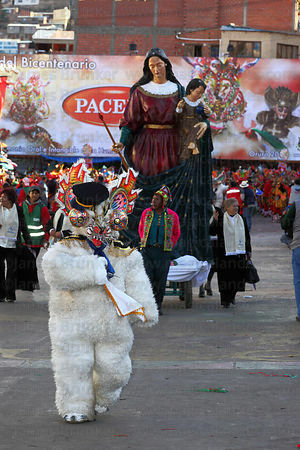 The event was originally an ancient indigenous festival that was incorporated into celebrations in honour of the Catholic Virgen de la Candelaria (Virgin of Candlemas) after the Spanish conquest. 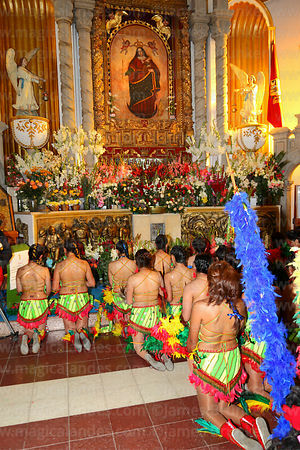 According to legends (there are various versions) an image of the Virgin Mary appeared in the richest silver mine in Oruro in the 18th century and since then the festival has been observed to honour the Virgen del Socavón (Virgin of the Mine or Mineshaft). 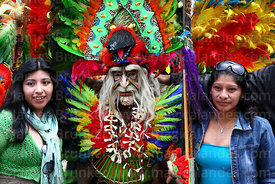 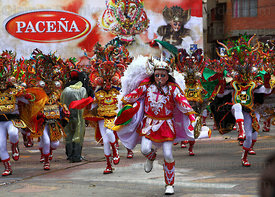 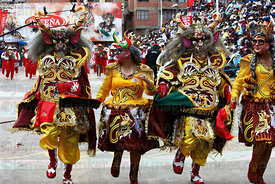 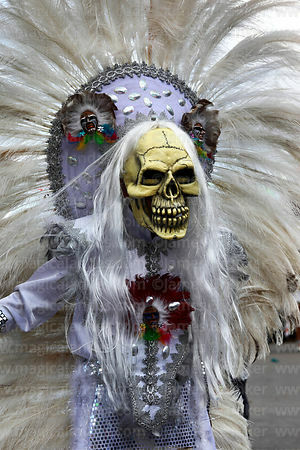 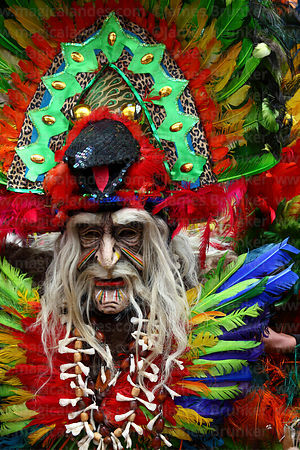 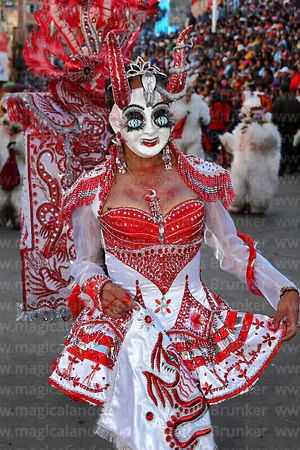 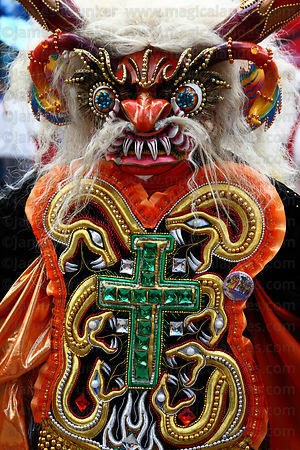 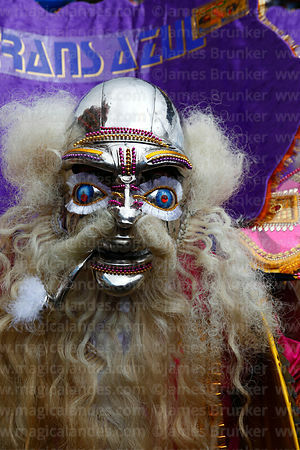 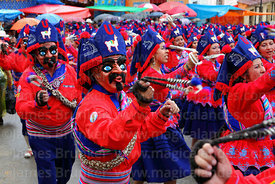 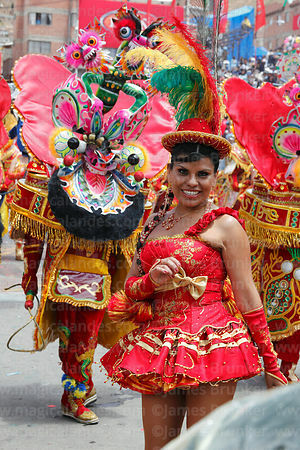 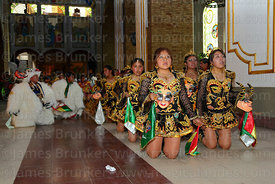 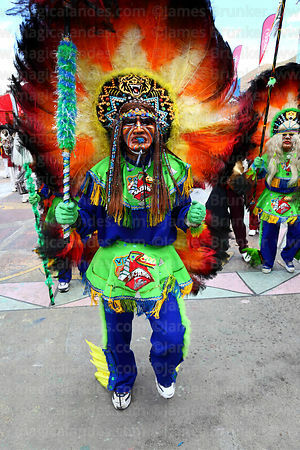 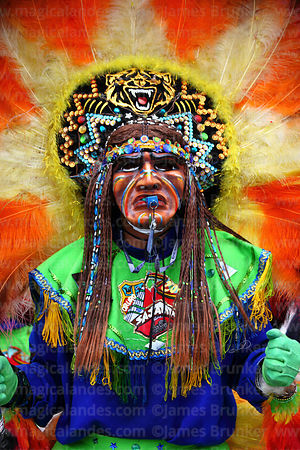 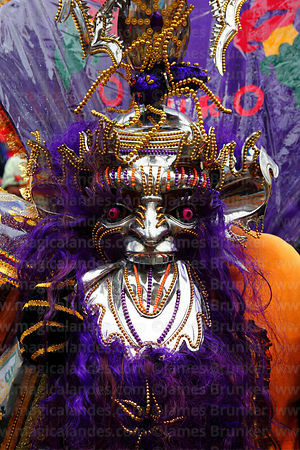 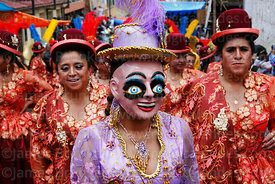 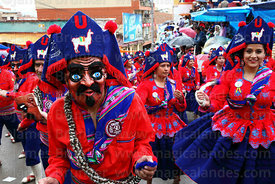 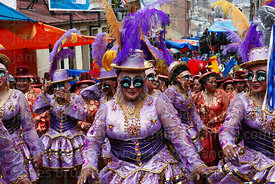 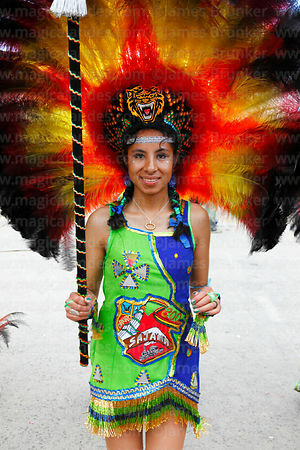 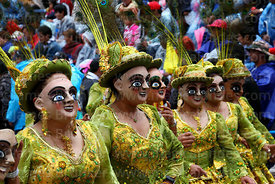 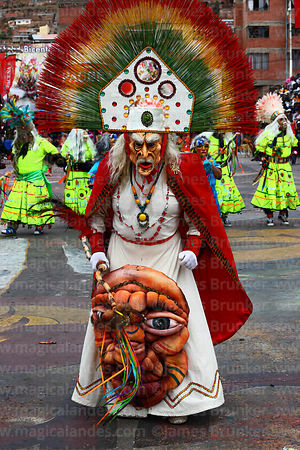 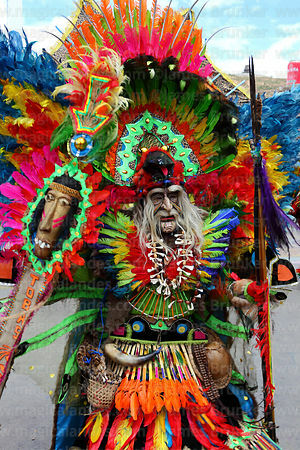 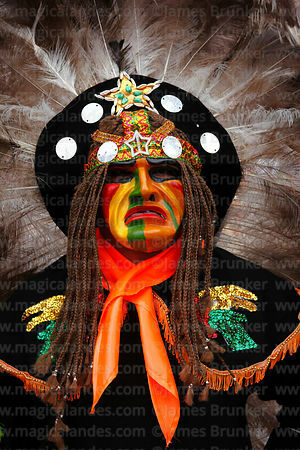 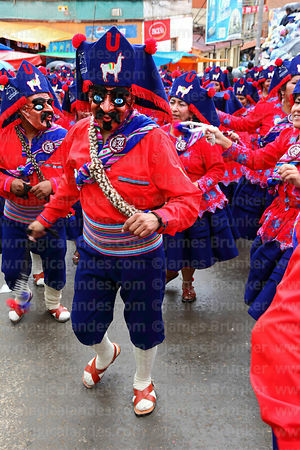 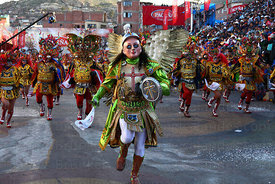 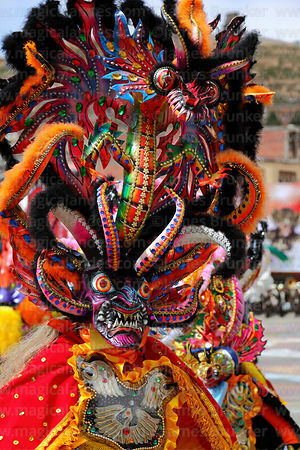 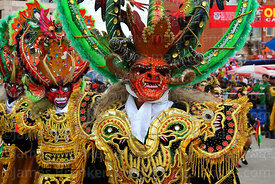 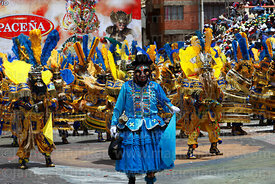 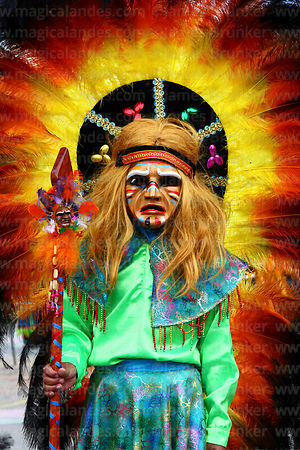 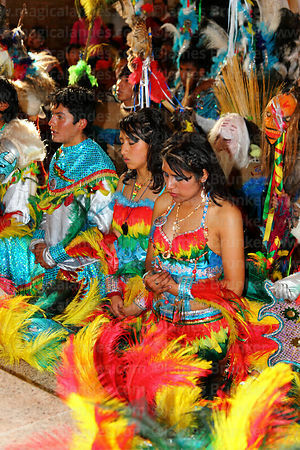 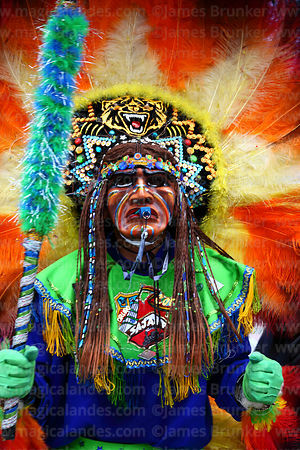 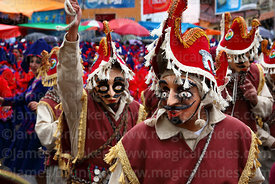 The festival is best known for the Diablada or Devil dance (a fusion of Catholic and indigenous traditions) and the spectacular masks and costumes worn by its dancers. 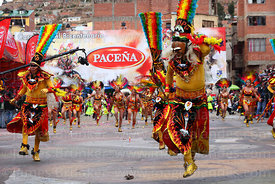 Many other dances are also featured.